You are here: Home > Blog > Flora & Fauna > Bud burst and street lights. 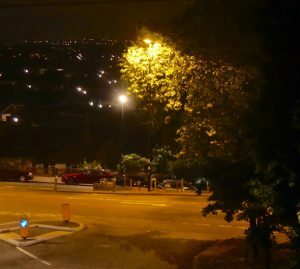 Street lighting may make our roads and homes safer places, but it also contributes to light pollution. The bright lights of towns and cities make it difficult for us to see the stars and constellations in the night skies. In places, the ‘warm yellow’ glow of street lights is being replaced with the white light of LEDs, the benefits of LED lights include energy savings plus an increased life time as compared to conventional lights. However, when compared to older street lamps they emit more blue light increases. Some think that this blue light can suppress the production of melatonin ; this is involved in the regulation of our circadian rhythms - particularly our sleep patterns. However this lighting has other effects, it is thought to ‘confuse’ animals that prefer darkness such as moths and bat, and it has had a significant effect on the timing of bud burst in trees. Some 13 years of data was collected by 'citizen scientists' throughout the U.K, and then analysed by PhD student Robin Somers-Yeates and Professor Richard ffrench Constant at Exeter University. 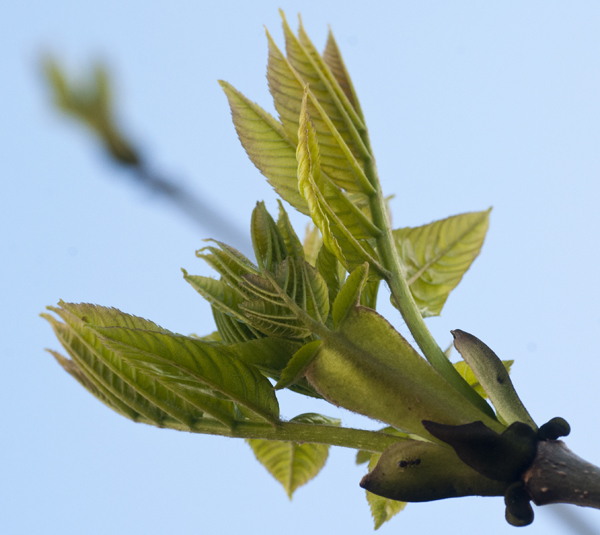 The timing of bud burst of oak, ash, sycamore and beech trees was recorded and it was found that bud burst of city trees has moved a week earlier - when compared to trees in the countryside / woodlands. 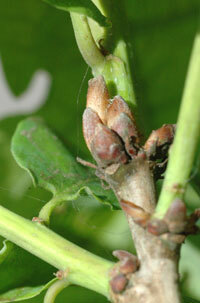 This earlier bud burst has a number of ‘knock on’ effects. The hatching of insect eggs is generally in synchrony with the opening of the buds and the unfolding of young, tender leaves - ready for the voracious mandibles of many different caterpillars & insect larvae. These caterpillars and larvae are, in turn, food for various birds and small mammals. So, the effects of the shifting bud burst may cascade along the food chain / web.